The mysteries of the universe are yours to divine when you wear this Plus Size Mystic Sorcerer Costume for Halloween! 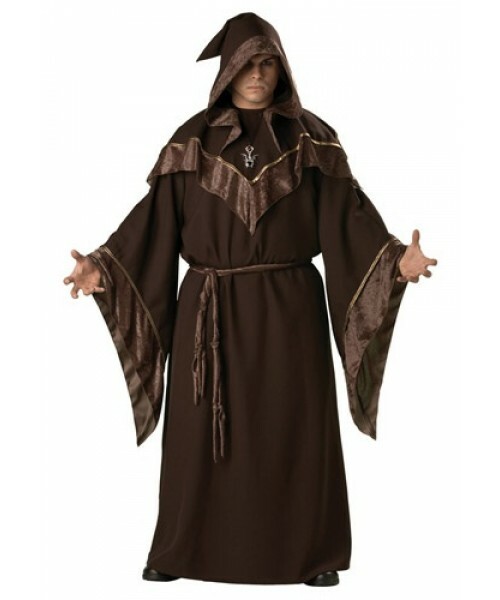 Cultivate your aura of darkness in this Plus Size Mystic Sorcerer Costume! 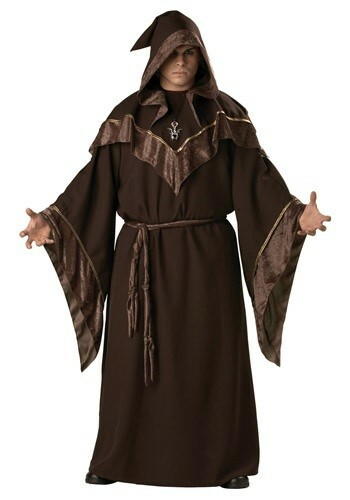 It could also be used as a monk costume by switching the bat medallion for a cross necklace. Add a crystal ball and wand to complete your look, and have your friends wear some of our witch or vampire costumes for a spooky group theme!